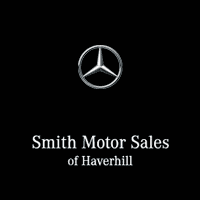 At Smith Motor Sales of Haverhill, you can efficiently schedule your service appointment online from the comfort of your home or anytime during your busy day. Our online scheduling portal allows you to select the date and time that works for you to bring your Mercedes-Benz vehicle in for routine maintenance and select services. Our portal works with new and returning customers to efficiently address your current service needs via a general service request area and then a list of additional services you can select from. Choose the service you need from selections like an oil and filter change, tire replacement, brake inspection, run diagnostics, and more. You also have the control to select which of our experienced advisors you would like to work on your vehicle. If one of our staff members have worked on your Mercedes-Benz coupe, sedan, or SUV before, you can request them again in the future. Ultimately, our online service-scheduling portal allows you to pick a time that works for your busy schedule. Save time by outlining your vehicle condition and the necessary services prior to your arrival so you can drop off your vehicle on your way to work or cut down on your wait time. Drivers on both sides of the state line can experience the convenience of our online service appointment schedule portal. Massachusetts and New Hampshire drivers near Lawrence, Andover, Methuen, and Newburyport can seamlessly schedule their appointment and then rest assured knowing that our team of maintenance experts are working to equip their vehicle to be safe and performing at top levels. We look forward to working on your vehicle soon!